The Hospice Program of Foothills Visiting Nurse & Home, Care, inc. will be conducting an eight-week training program for persons interested in becoming Hospice volunteers, starting October 2, 2018. The classes will be held from 9:30 to noon at the agency’s office at 32 Union Street in Winsted. 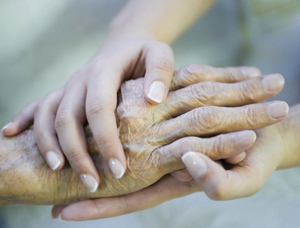 Hospice provides a coordinated program of support services for the terminally ill patient and the patient’s family. Hospice care is based in the home; treats the whole person, not just the disease; focuses on the whole family, not just the patient and emphasizes the quality of life, not the length of life. The volunteers work as integral members of the Hospice team which provides the care and support during this difficult time. The volunteers are also available to the bereaved family for up to a year after the loss. The Hospice staff will provide training to the prospective volunteers on Hospice philosophy, the basics of terminal illness, death and dying, listening skills, grief and bereavement and the importance of spiritual issues. No commitment is asked of prospective volunteers until after the completion of the training. Volunteers must be 18 years or older and not have suffered a loss recently. There is no charge for the training but pre-registration is necessary. For more information about the program or to register call Martha Babbitt, Hospice Volunteer Coordinator at (860) 379-8561.